In today’s world layer and broiler producers need to be highly responsive to quickly changing market needs (i.e. agile) and at the same time continuously increase efficiency. This also increases the requirement for robustness and the ability to adapt to nutritional and environmental challenges in birds for reliable performance. 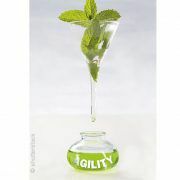 Nutritional approaches for gut agility are enabling more consistent efficiency in a sustainable manner. Genetic progress is alive. 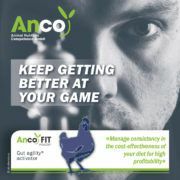 Hens have longer and more productive laying cycles and broilers are growing faster and more efficiently. What has not changed is that management of birds is still key to maximize efficiency, health and welfare. To empower birds to live up to new genetic heights, producers need to pay extra attention to nutrition throughout the lifetime of each flock. Nutritional stressors in the diet, such as dietary changes, reduced nutrient digestibility, endotoxins, antinutritional factors and mycotoxins, can undermine consistency in performance in response to diets. Depending on the presence or absence of those stressors the same diet can differ in cost-effectiveness. These stressors are often not easy to control for the nutritionist and are part of the reality that animals are facing in modern production systems. Ability to adapt to different climates, management systems and environmental challenges are sought after traits in today’s birds for commercial production. The ability to adapt to nutritional stressors will have an impact on consistency of performance and efficiency of birds. Hence, what we are looking for in birds is not much unlike a key trait of successful companies in today’s business environment: agility. Agility in this context meaning the capacity to adapt to changes and challenges quickly and efficiently to maintain high performance, efficiency and profitability. We never know what is around the corner, but the ability to adapt will make or break us. It determines sustained success. Taking birds from doing great to agile is a step towards greater robustness, efficiency and performance consistency in birds. This advancement will to some extent be achieved by genetic selection programs, but the faster way is to support it by nutritional means. Nutritional approaches for gut agility in the bird, are designed to empower the bird to adapt to nutritional challenges more efficiently and minimize the negative impact on performance consistency. Reducing antibiotic growth promotors in animal feed calls for the development of new strategies to improve feed efficiency in poultry production systems. 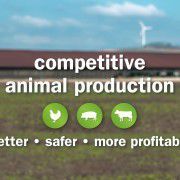 Genetic research provides a picture of the basis of feed efficiency at the cellular level. Oxidative stress turned out to be a cellular activity affecting feed efficiency. The studies showed that birds with higher feed efficiency had better mitochondrial function that included less mitochondrial reactive oxygen species (ROS) production and less oxidation of proteins. mycotoxins are known factors which normally lead to increased oxidative stress. Hence, birds with improved antioxidative capacity will also be more resistant to those type of stressors. High performing hens with longer laying cycles are more prone to metabolic disturbances and susceptible to free radical (ROS) damage. This can be justified by the intense metabolism demanded for continuous egg production and environmental stress. Adding certain plant extracts to diets has been shown to improve the antioxidant status in laying hens and can be used to prevent oxidative stress. This then also has the potential to prevent fatty liver hemorrhagic syndrome (FLHS). Fatty liver-hemorrhagic syndrome is a typical liver damage caused by oxidative stress. Laying hens tend to exhibit fatty liver due to the damage caused by free radicals and excessive fat in the liver. 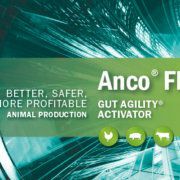 Adding a product including phytogenic components with antioxidative power and designed for gut agility to the late laying period of a commercial ISA Brown parent layer flock, improved the persistency in lay compared to birds on a control diet.